With first quarter 2019 earnings set to kickoff on Monday, April 15 with J.B. Hunt (NYSE: JBHT), FreightWaves is looking at expectations for the transportation stocks. The news for the group has been less than favorable at times, but we don't expect to hear dire commentary on the outlook for the rest of the year. Earnings for S&P 500 companies are likely to decline for the first time since the second quarter of 2016 (-2.5 percent) according to Refinitiv consensus estimates as reported by CNBC. Many investment firms are saying that the first quarter could be the earnings trough for the year with modest growth to follow. That isn't the anticipated trend for the transports though. Transportation stocks are expected to report larger year-over-year (y/y) increases in the first quarter with more modest growth rates seen as the year continues, according to Barchart's consensus estimates. Current estimates are that truckload (TL) carriers will report 21.6 percent y/y growth in the first quarter, with a more subdued pace of 5.5 percent for the full-year. Similar trends are expected for the less-than-truckload (LTL) carriers (10.6 percent and 7.1 percent over the same periods) and the Class I railroads (13.8 percent and 11.4 percent, respectively). Airfreight is in for a tough first quarter (down 11.2 percent with 2.6 percent growth forecast for the full year). 2018 was a hot year for freight demand and pricing. January and February were ahead of normal seasonality and volumes remained high as the year progressed. Many shippers struggled to find truck capacity and spot rates surged. The high-demand environment continued into the back-half of 2018 as shown by the Outbound Tender Reject Index, USA which measures tendered loads that have been rejected by a carrier. The higher the index, the more indicative that the market has ample loads available and carriers can be more selective in the freight they choose to haul. The first quarter is dicey enough to begin with. Most transportation companies see their lowest quarterly earnings contribution from the first quarter because of revenue seasonality and the potential for inclement weather, both of which weigh on margins. Some of this has already been seen; Covenant Transport's (NASDAQ: CVTI) negative earnings pre-announcement and FedEx's (NYSE: FDX) recent quarterly report, which pointed to a global slowdown. New truck capacity overhangs the market after last year's spot market pricing surge, which resulted in smaller carriers adding capacity to take advantage of the boom (most large carriers reported modest, if any, incremental growth). The spot market has officially cracked, which won't likely have a material impact on the public carriers in the first quarter of 2019 as they are working off of previously negotiated rates, but will jeopardize future contractual pricing unless there is a material change in capacity/demand as the year advances. Also, with fuel prices moving higher through the quarter it is unlikely that fuel surcharge mechanisms were able to keep pace. Large carriers purchase fuel at the wholesale or rack rate, which is the refinery's price to a wholesaler. Most large, public carriers buy fuel at a discount to the rack rate and operate their fuel surcharge weekly off of the U.S. Department of Energy's retail on-highway diesel fuel prices. The chart below, ULSD Rack Price (United States of America) overlaid with the DOE Diesel Price Per Gallon (United States of America) shows that the spread widened in a less favorable way for carriers during the quarter. In the railroading sector, total year-to-date U.S. Class I carloads fell 1.8 percent y/y, according to American Association of Railroads (AAR) data for the week that ended April 6. There were noticeable declines in coal (-8.1 percent y/y) and grain (-5.2 percent y/y). Uncertainty over U.S. trade relations with, well...everyone (China, Canada and Mexico), weather, a poor coal outlook, tariffs, etc. have been the culprits for rail volume declines so far this year. It is important to remember that global energy demand rose by 2.3 percent in 2018, "its fastest pace in the last decade," as reported by the International Energy Agency. "The first quarter was a noisy quarter for the railroads, particularly for those facing winter weather challenges in Canada and the Western U.S. (get ready to hear the phrase outdoor sport...). Accordingly, we're trimming our 1Q forecasts for most of the group on volume shortfalls and cost overruns, and we expect consensus to drift lower over the next two weeks," wrote rail analyst Bascome Majors of Susquehanna Financial Group in an April 3 note to investors. "Asian airfreight volumes were essentially flat from June to October 2018 but have since deteriorated at an accelerating pace (November -3.5 percent, December -6.1 percent, January -5.2 percent, February -13.6 percent). If the overall volume wasn't distressing enough, the volumes of the three largest airports (Hong Kong, Shanghai and Incheon) are experiencing the highest rates of contraction," said Donald Broughton, Founder and Managing Partner of Broughton Capital, and author of the Cass Freight Index Report published April 10. This may be prolonged seasonality or the fourth quarter 2018 freight pull forward, but inbound to Shanghai weakness impacts future outbound volume from Shanghai. "Even more alarming, the inbound volumes for Shanghai have plummeted. This concerns us since it is the inbound shipment of high value/low density parts and pieces that are assembled into the high-value tech devices that are shipped to the rest of the world. Hence, in markets such as Shanghai, the inbound volumes predict the outbound volumes and the strength of the high-tech manufacturing economy," Broughton continued. The recent softness in freight fundamentals hasn't spooked the markets. 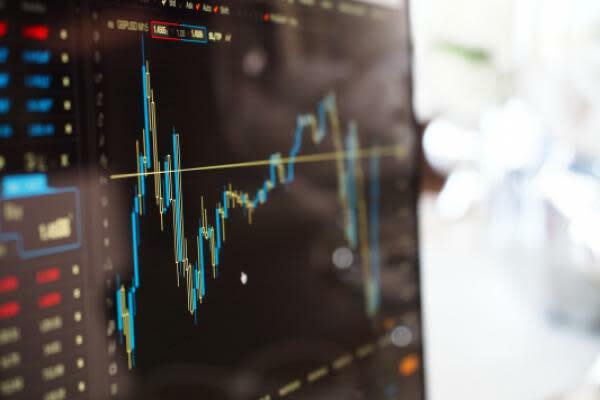 The S&P 500 is up 16 percent for the year, the railroad stocks are up 24.1 percent, TL stocks are up 15.3 percent, LTL stocks are up 16.8 percent (excluding the outsized gain of YRC Worldwide – NASDAQ: YRCW) and airfreight stocks are up 14.9 percent. Further, even with the recovery in the transportation stocks since the end of the year and the modest haircut to earnings estimates, the group isn't trading beyond its historical averages. Rails could be considered a little toppy at 18.4x and 16.3x 2019 and 2020 consensus estimates, respectively, but you would have to go back to mid-2016 to find them below that range. Top-line almost doesn't matter with the rails as long as core pricing is positive, which it always is, and operating ratios improvements are on the table, which they always are – until they aren't. The TLs are trading at 12.9x and 11.9x 2019 and 2020 consensus estimates (14.8x and 13.8x excluding a couple of the less expensive names), the LTLs are trading at 14.8x and 13.2x forward estimates and airfreight is 11.8x and 10.8x forward estimates. Again, draw your own conclusions as to valuation, but these multiples appear to be in-line with historical averages (S&P 500 Index trades at 17.5x and 16.5x forward estimates). The Cass Freight Index for expenditures (all modes) saw noticeable y/y increases of 7.8 percent in January, 5.5 percent in February and 6.1 percent in March. The index includes fuel costs, but these were considered a negligible benefit in the quarter. This was further displayed in the company's truckload linehaul index (which measures linehaul rates excluding fuel) which was up on a year-over-year basis by 6.4 percent, 5.4 percent and 4.8 percent over the same months. The way FreightWaves views this earnings season, the weather will be to blame for those that miss earnings expectations and investors on both sides are likely to look past earnings misses by not meaningfully altering their positions. Transportation companies will likely use the unfavorable operating environment along with some decelerating macro trends to reset the earnings outlook for the remainder of the year. That said, this doesn't appear to be a fear- inducing event. Fundamentals remain firm (TL contractual pricing should be positive for the year, the rails remain entrenched in precision railroading enhancements, stronger oil prices could get the industrial patch humming again and normal seasonality will help). Some of the degradation in fundamentals is due to a horrible winter which lasted well through the quarter as well as some freight pull forward in the 2018's fourth quarter. There may be some pent-up demand from the bad weather allowing the transportation companies to find their legs after a prolonged hibernation. While the first quarter was thought by many to be a "rubber meets the road" type of quarter in regard to full-year expectations, weather disruptions will likely provide a path for the can to be kicked into the second quarter.